I thought it would be worthwhile drawing your attention to a video exposé on our favourite Islamic apologist and ‘scholar’ Reza Aslan. For those already familiar with Aslan’s particular brand of obfuscation, you will find no new revelations here. However, it’s useful to have them all in one place and presented in a coherent form for the benefit of those who have no idea what Aslan is about. The video covers Aslan’s dubious credentials, his false claims about FGM and his attempts to pull the wool over our eyes on the issue of slavery within Islam. In the wake of any Islamist terror attack on Western soil, I notice an increase in people sharing Aslan’s TV appearances on social networks in order to bolster the harmful ‘nothing to do with Islam’ narrative. Feel free to send this video the way of those you catch doing this. Thanks for making this article Stephan and exposing REZA ASLAN, I have seen this character on Real Time with Bill Maher a few times and always found his comments to be too good to be true. After being led up the garden path too many times by such apologists I now take the time to fact check any religious related quotes, thanks to the internet its really easy nowadays as we don’t all speak arabic yet. 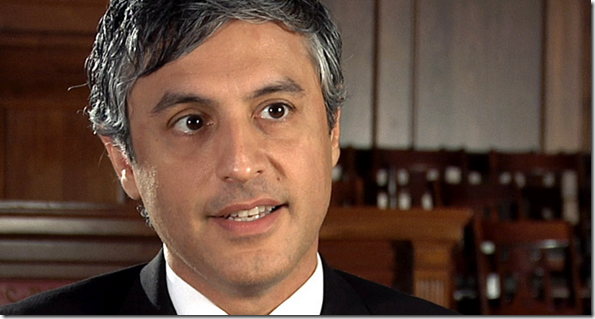 Also I found this youtube channel very useful as the author goes out of his way to expose people like Reza Aslan by debating various Muslim scholars that take is challenge, he uses the pseudonym Christian Prince for his protection.